Following the popular series from last few months, we are going to continue talking about some of the ingredients used to make Oz Soylent. 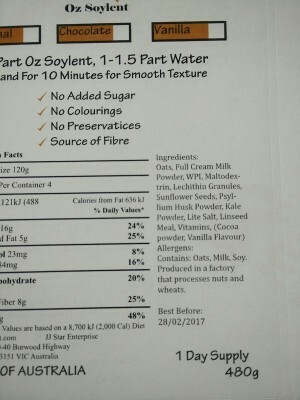 The ingredient list is clearly written on the product page of each Oz Soylent variant, we also made sure it is clearly visible on each one of Oz Soylent packages. Many of these ingredients may not be familiar to most people, but be assured that all the ingredients used are all natural and can mostly be found on the shelf of Health Food Stores! Today we want to talk about the health benefits of Sunflower Seeds, one of the important components of Oz Soylent. Sunflower seed is the fruit of the sunflower. When dehulled, the edible remainder is what we use in Oz Soylent. Cultivated in many different region of the world, it is an important snack food in many countries. Despie their small size, sunflower seeds pack a dense source of vitamins, minerals, and essential oils. Sunflower seeds are documented to offer numerous extraordinary health benefits. Sunflower seeds contain two nutrients that promote cardiovascular health — vitamin E and folate. These vitamins performs important antioxidant function and balanced levels of vitamin E have been associated with lower overall risk of early death from cardiovascular disease. The antioxidant found in Vitamin E also helps neutralize free radicals to protect brain health and cell membranes against redness and swelling. Vitamin E has been linked to protection from several serious health risk. Click this link to read more about How Vitamin E benefits our health. What? Sunflower seed is a potent source of Magnesium. Magnesium deficiency can lead to a variety of heath problems that affect the cardiovascular, nervous, and immune systems. The muscles and skeletal system also require magnesium for proper function. Magnesium also promotes a healthy mood. Over one hundred years ago, magnesium sulfate was given to patients suffering from depression. Its success, as well as its safety, made it a valuable option. Today magnesium plays an essential role in homeopathic therapies for mental health. Yes! Every serve of Oz Soylent contains enough benefits from sunflower seeds you need. We try to use as much natural ingredients as possible when making Oz Soylent, making the texture slightly coarser than some other shakes in the market, however nothing compares to natural ingredients when we’re talking about eating and living a healthy lifestyle. For this month and the next, Oz Soylent is offering a one time $10 off your purchase above $60. Just use the coupon code: sunflower-seed.